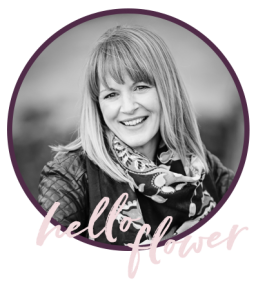 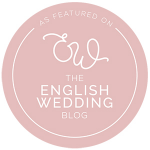 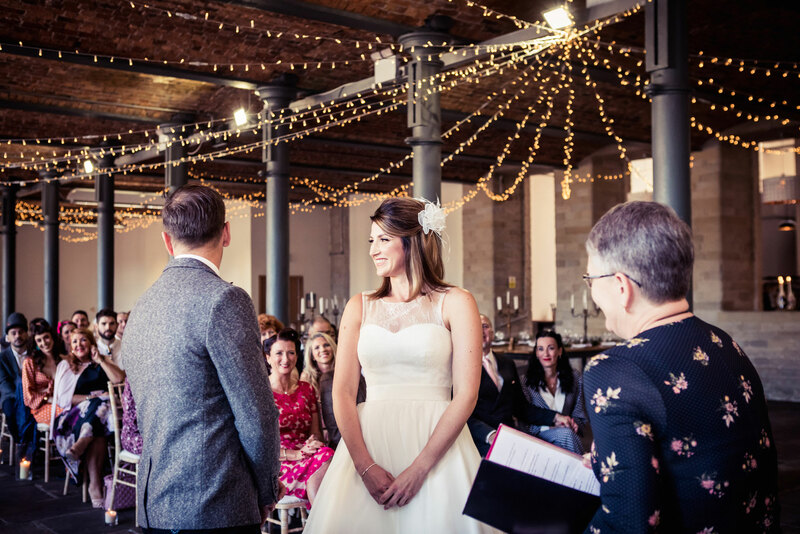 When I first met Rachel and Luke and they described the style of wedding day they were planning, I did a little jump for joy! 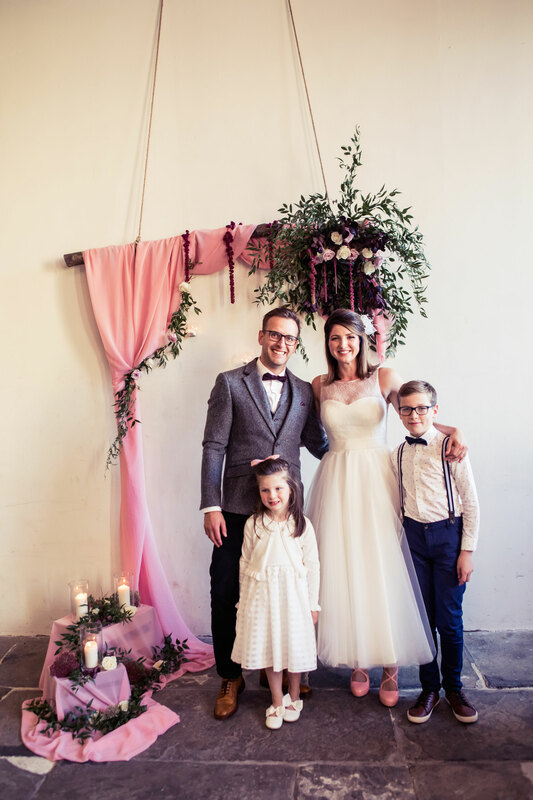 This wasn’t a traditional wedding, but much more of a relaxed day and a celebration with family and friends. 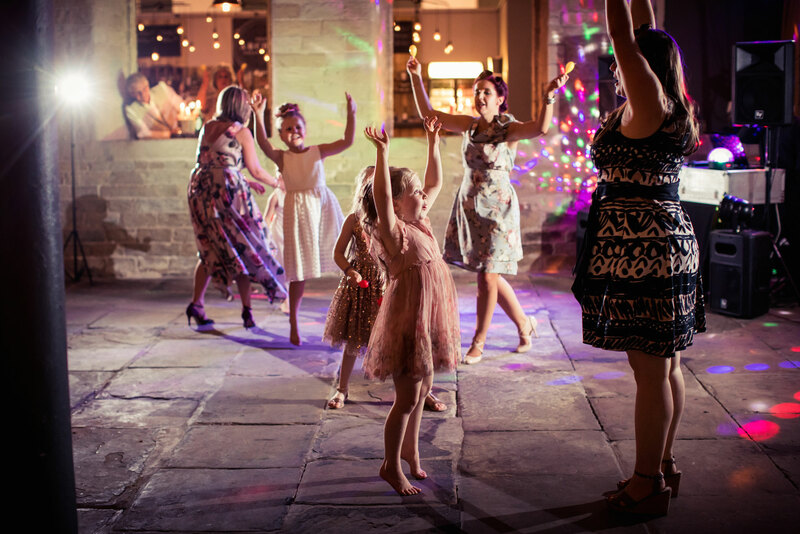 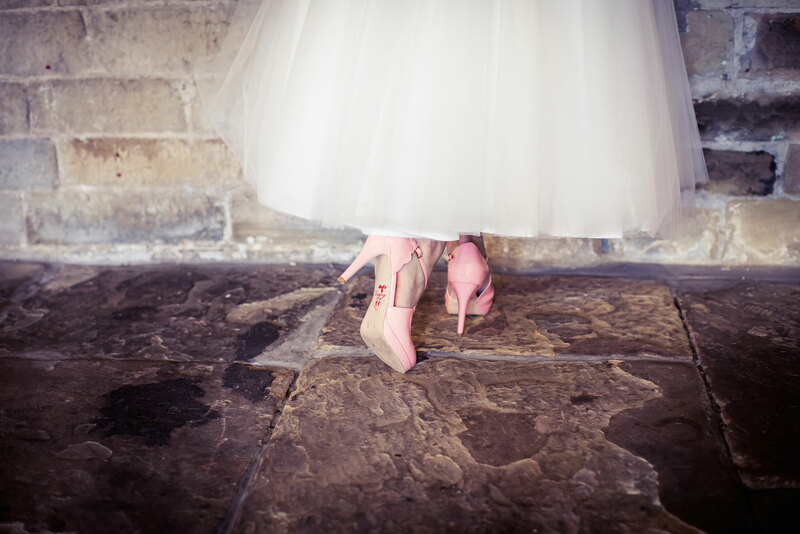 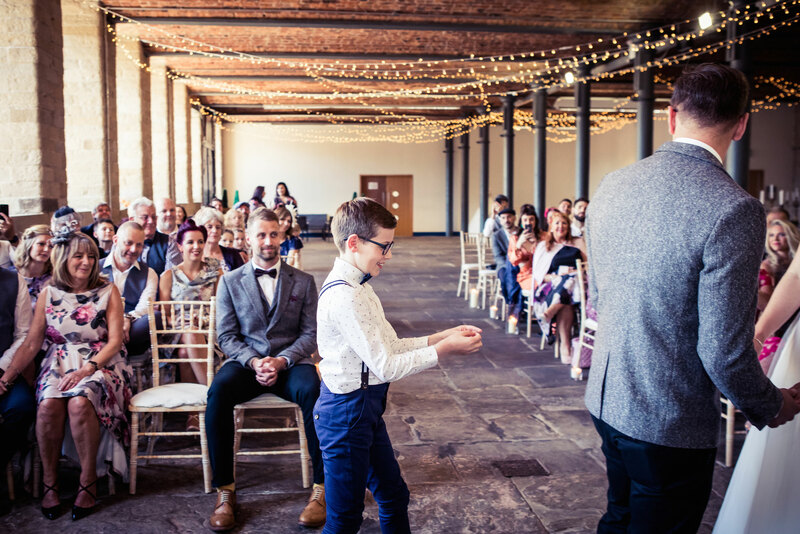 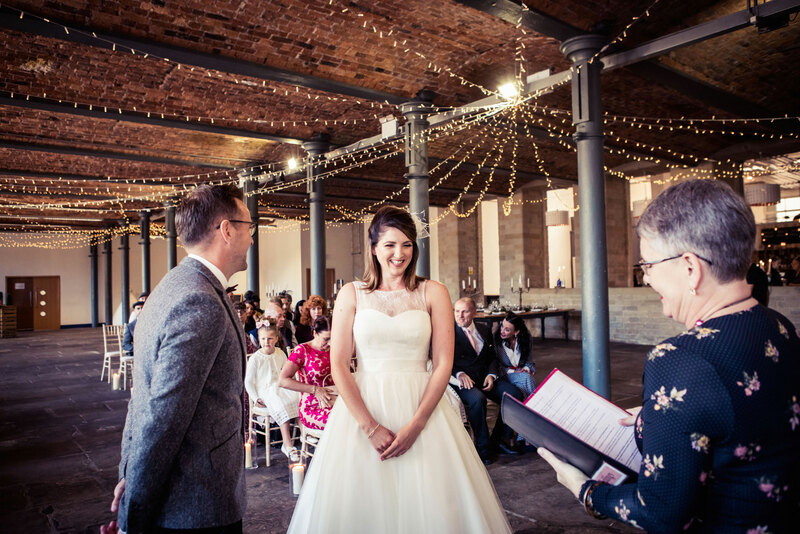 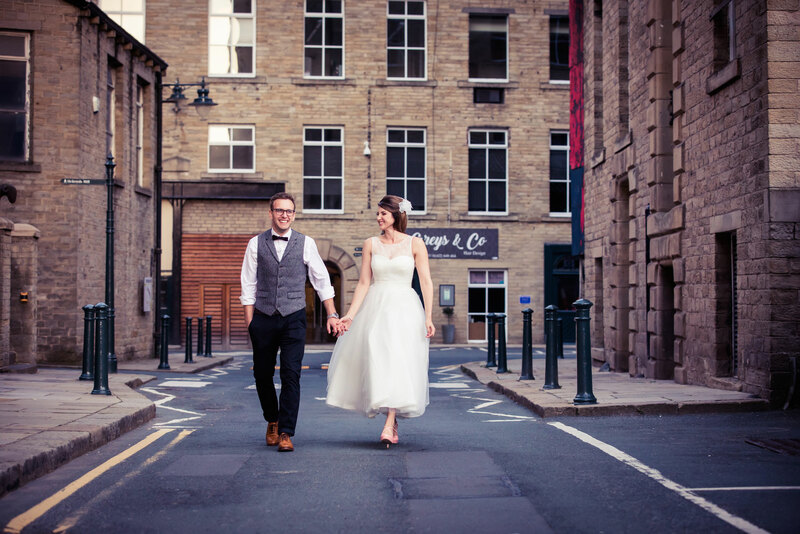 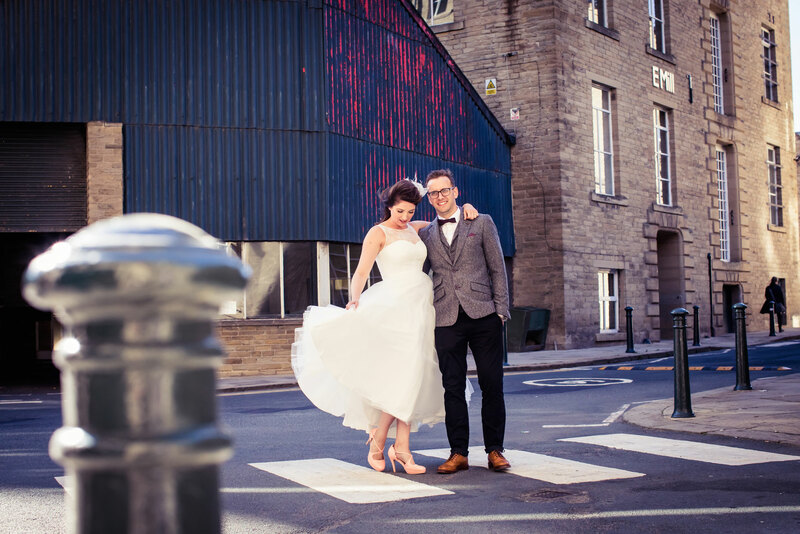 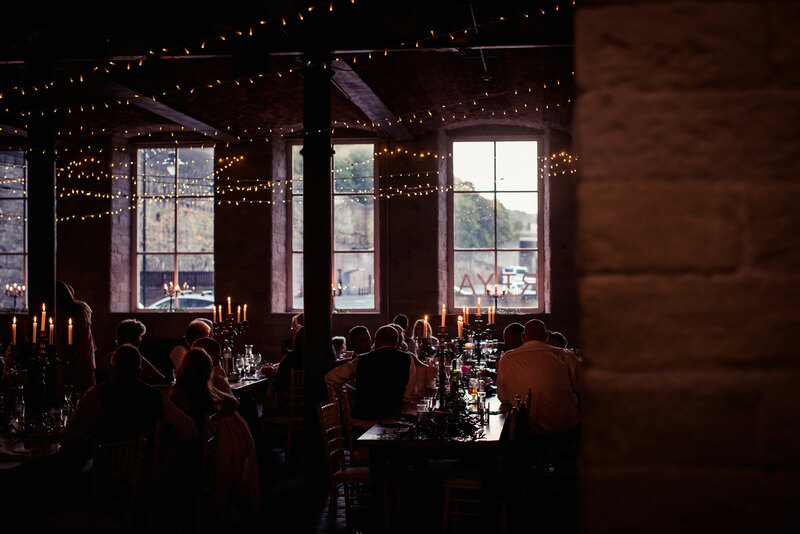 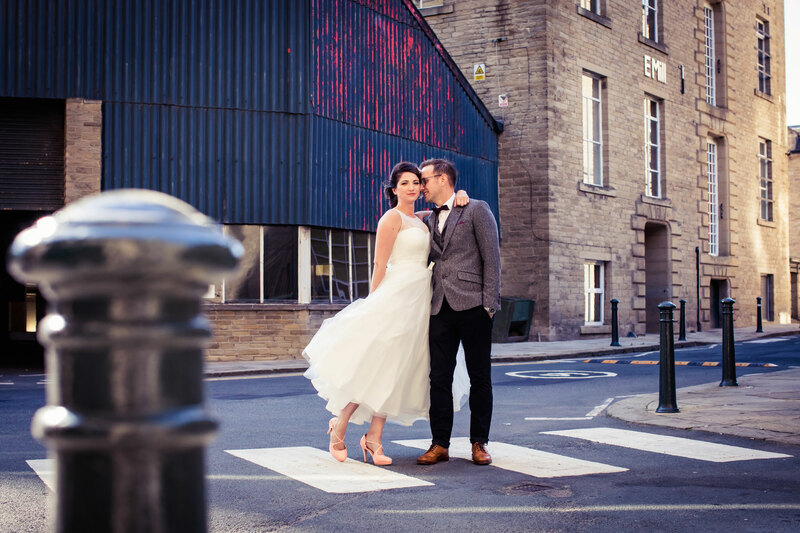 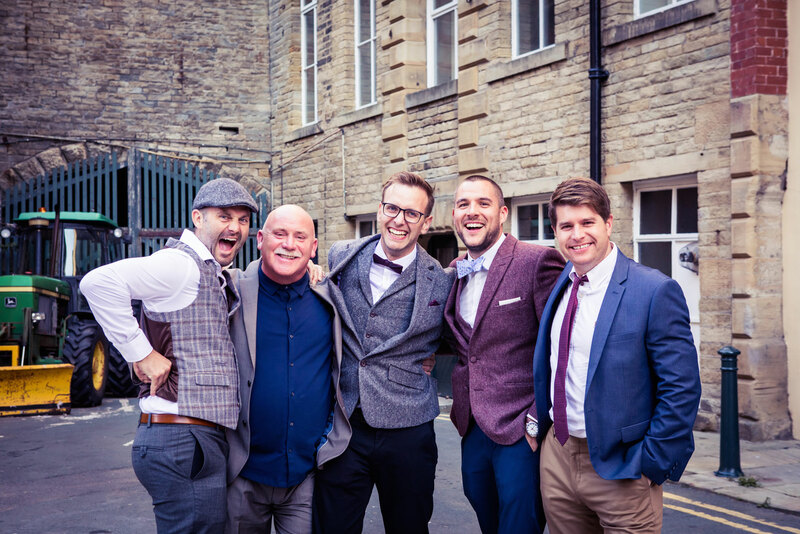 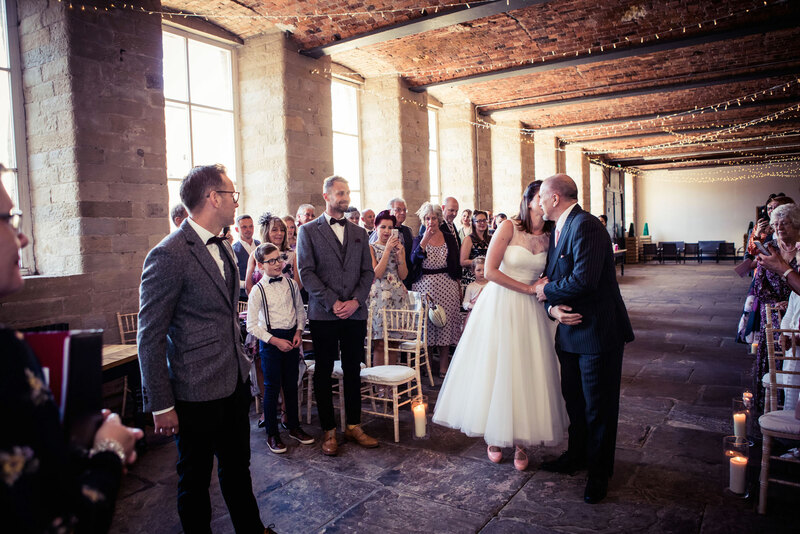 Weddings at The Arches in Halifax also make me jump for joy because of the setting, the unique industrial surroundings and also the team who help bring the day together for their couples. 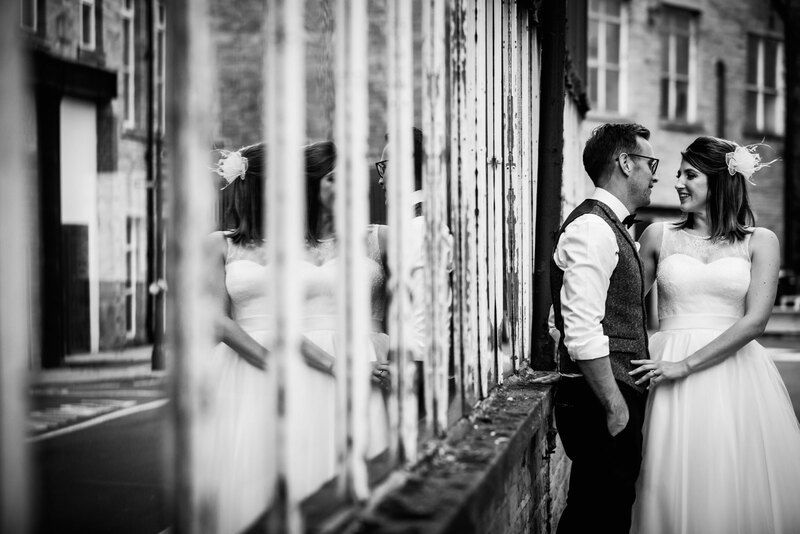 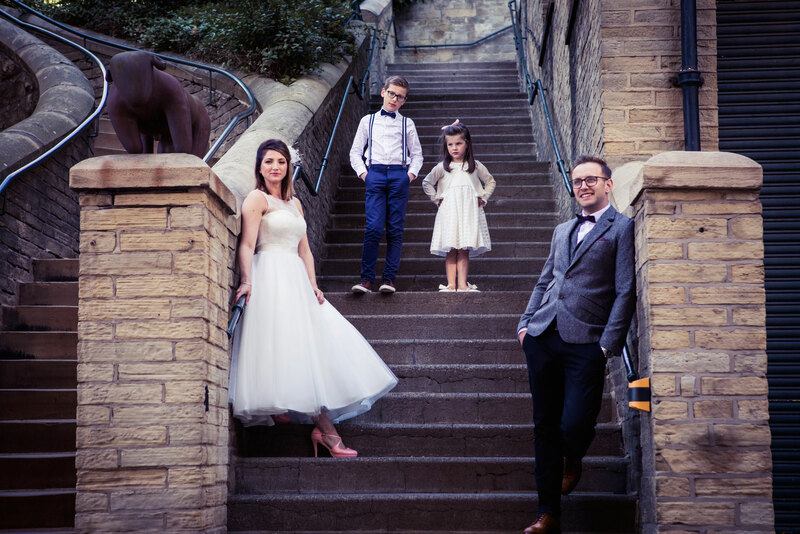 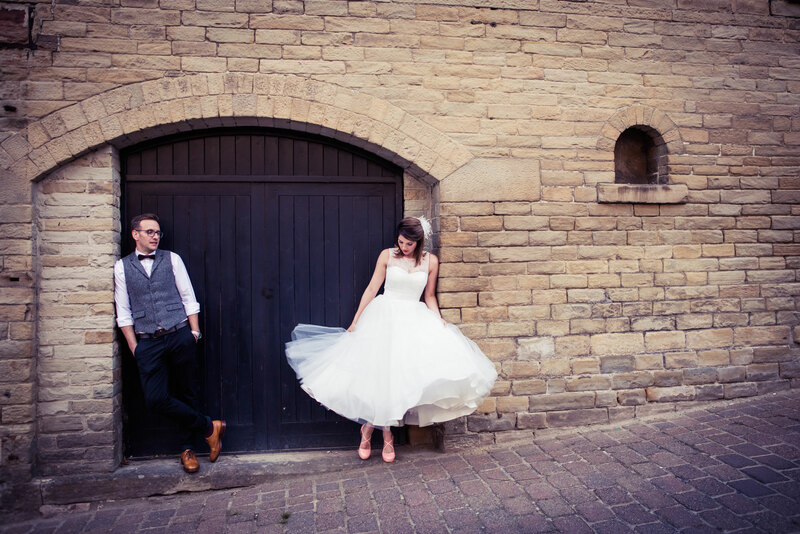 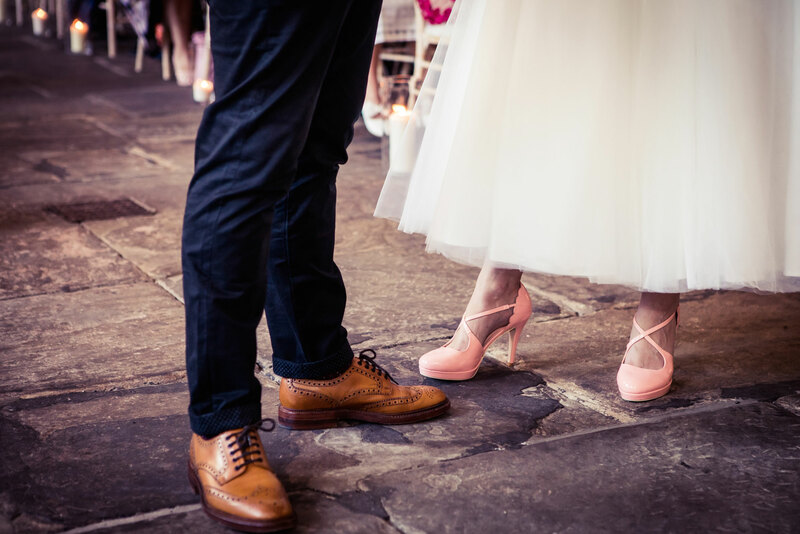 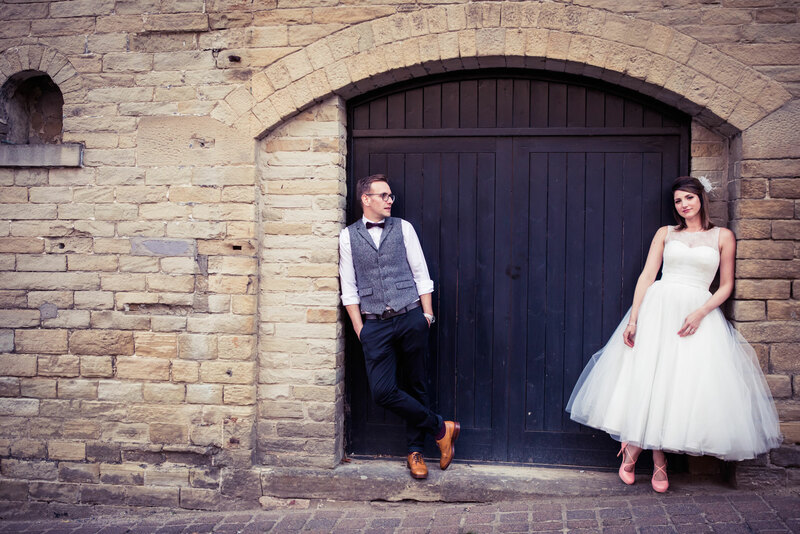 Rachel and Luke chose a vintage style for their day – but it was understated, elegant and pretty cool too. 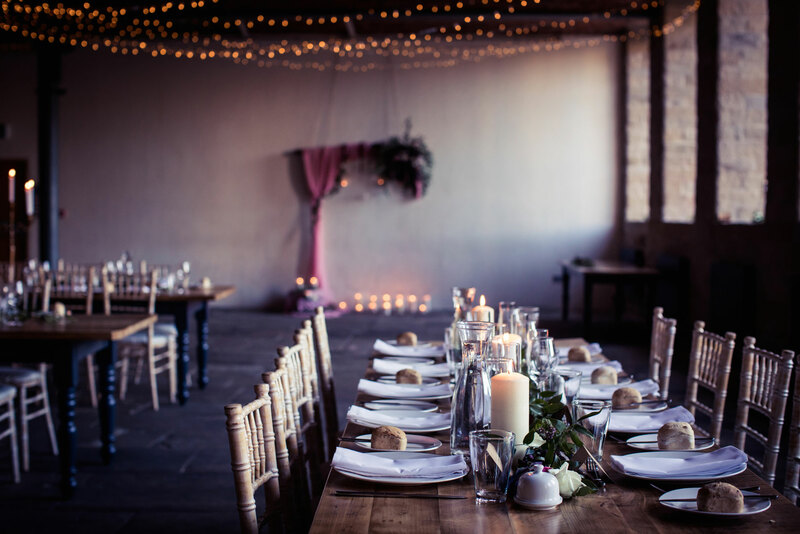 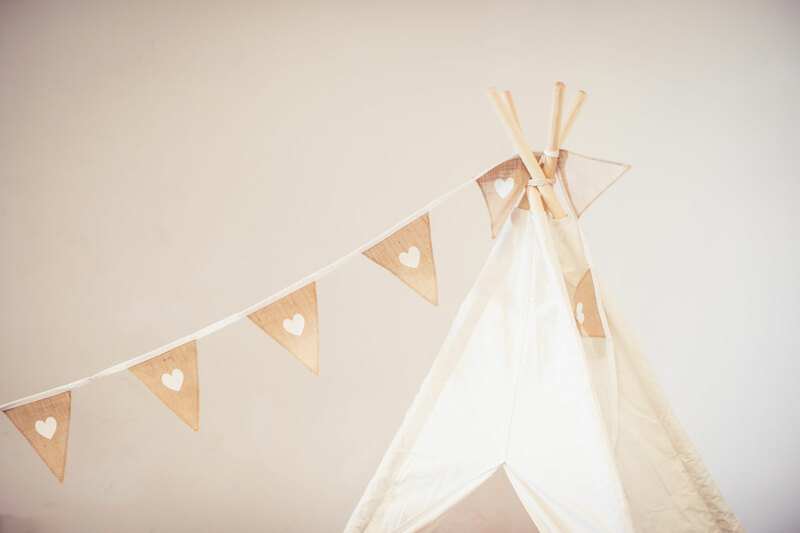 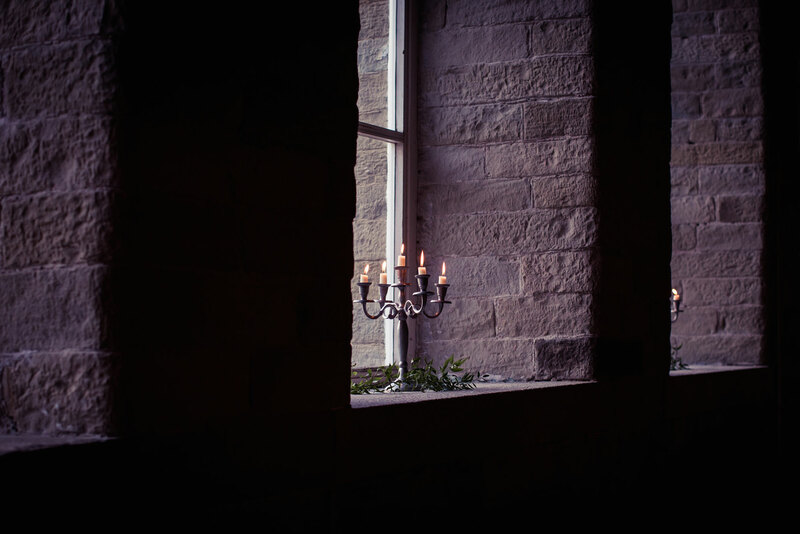 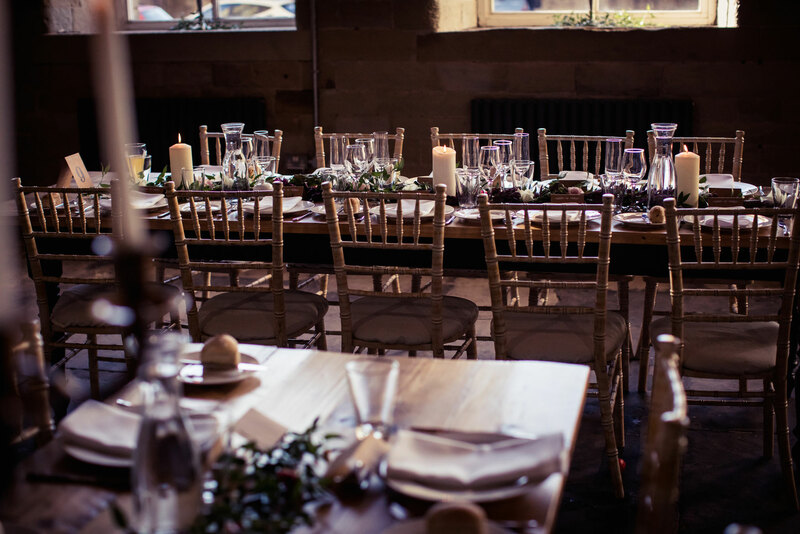 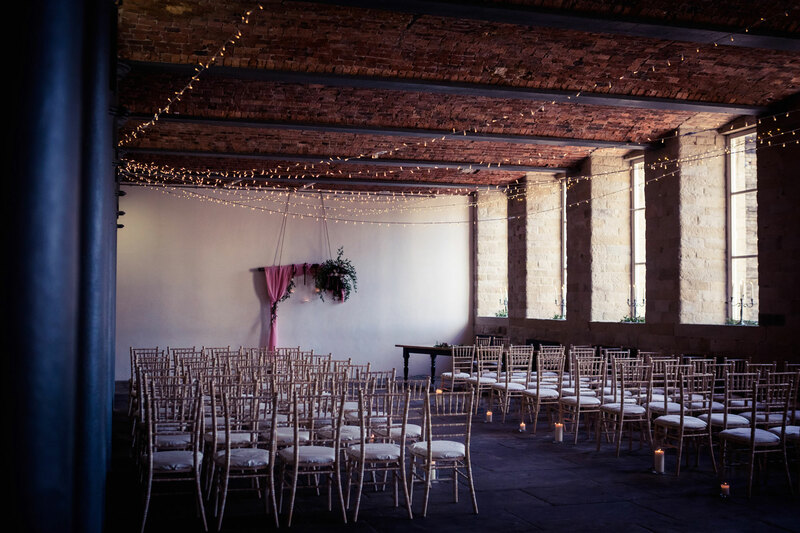 It wasn’t themed and overly styled at all, but it had all the ingredients of a beautifully stylish wedding day at this unique Yorkshire wedding venue. 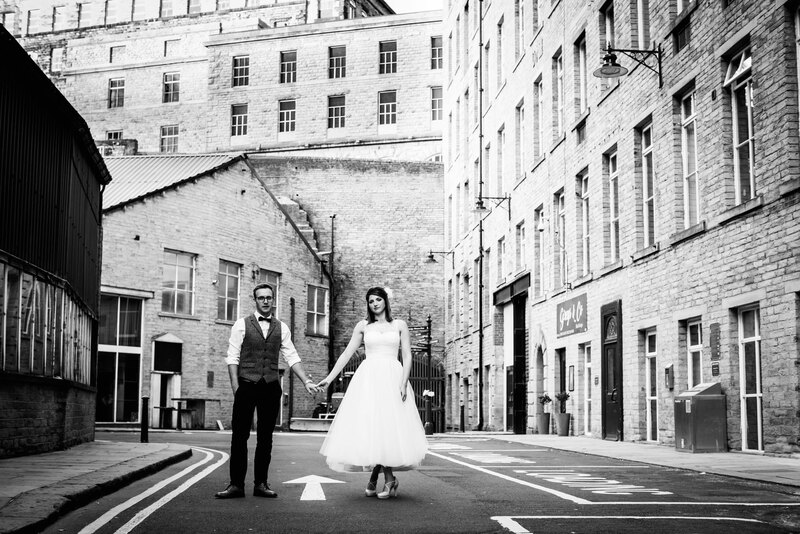 There’s something about capturing a wedding day in an urban, industrial setting for me. 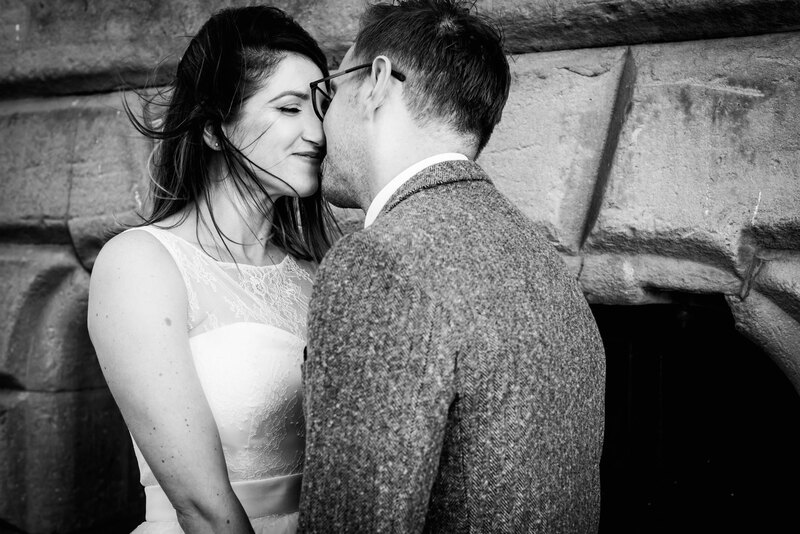 I photograph a lot of countryside weddings in the Yorkshire Dales for example – which I absolutely love. 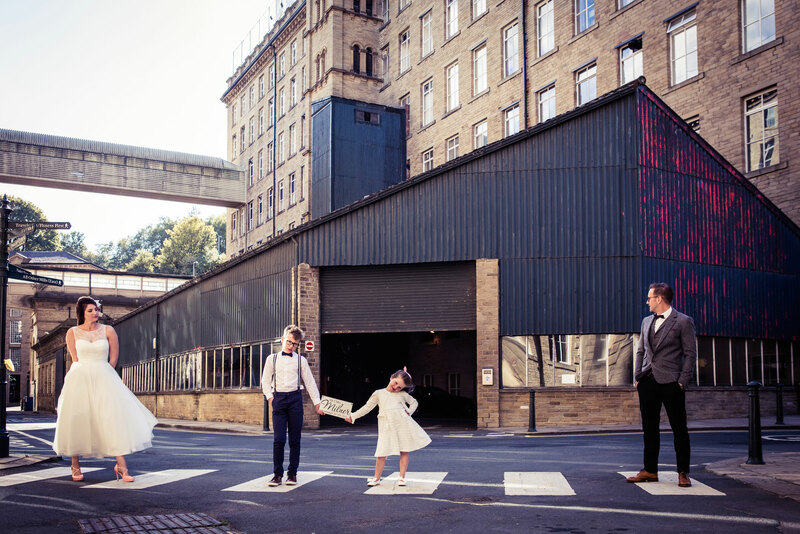 But this is just something different, where unique photographs can be created by exploring all the different spaces, backgrounds and textures that a former Yorkshire mill has to offer. 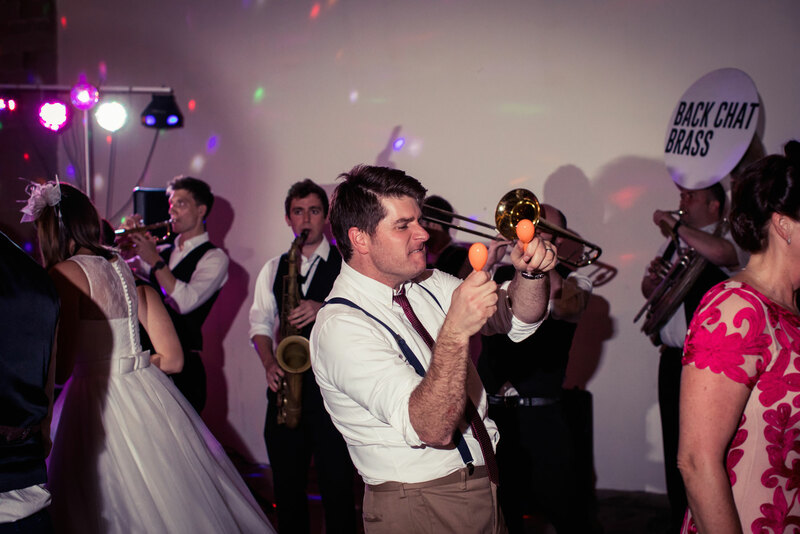 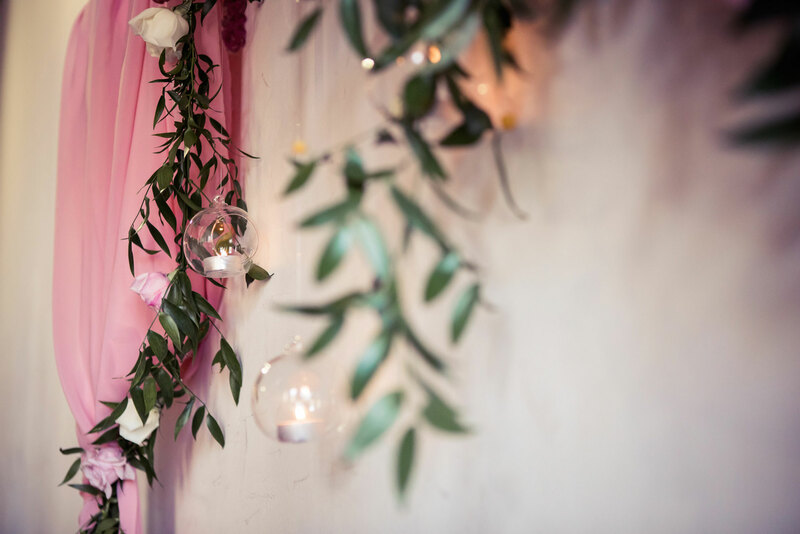 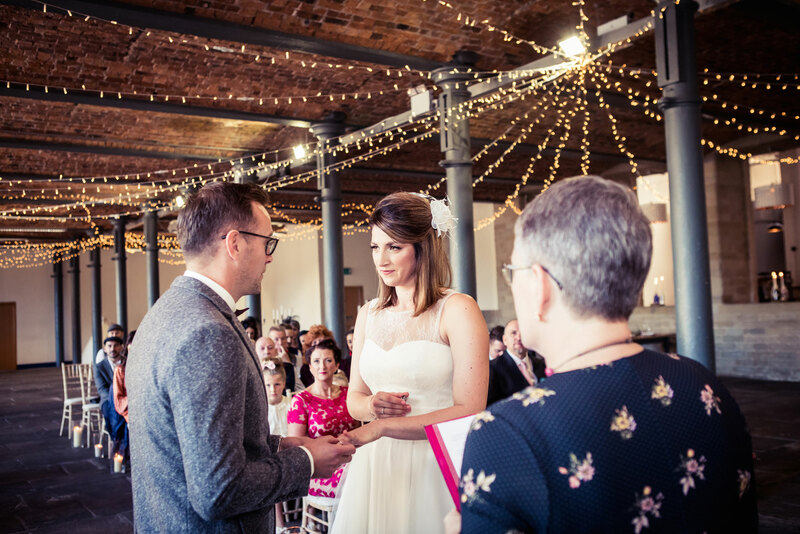 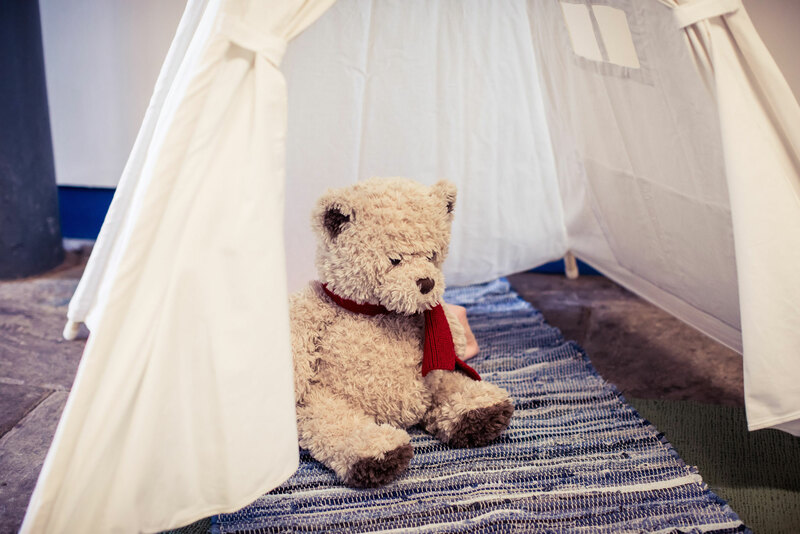 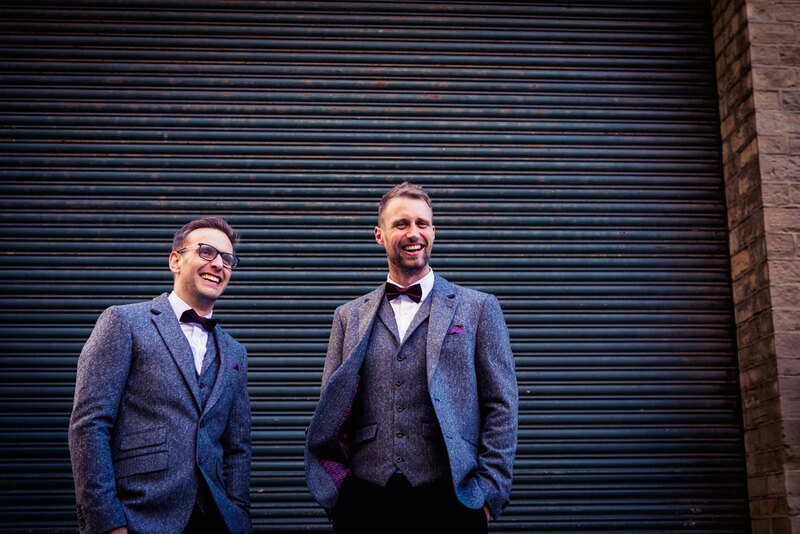 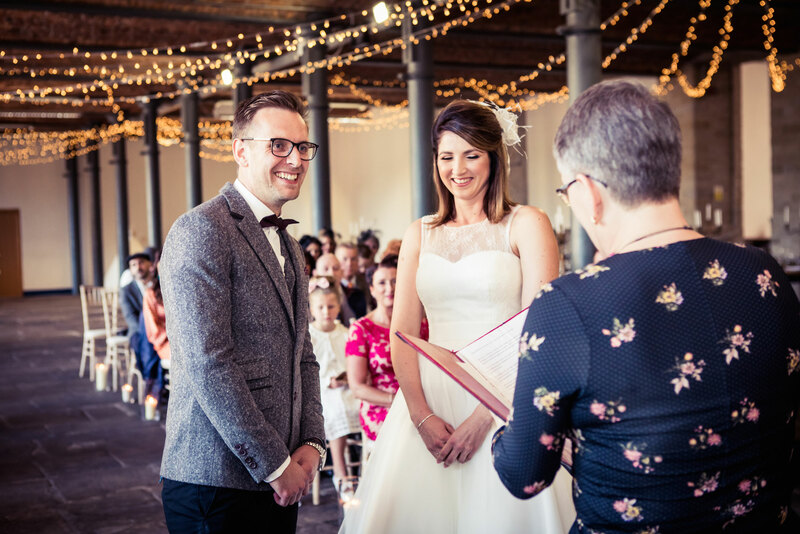 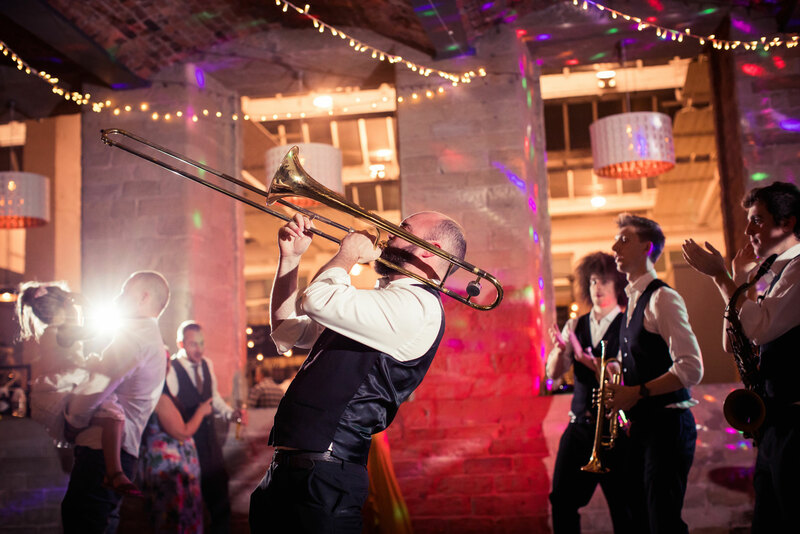 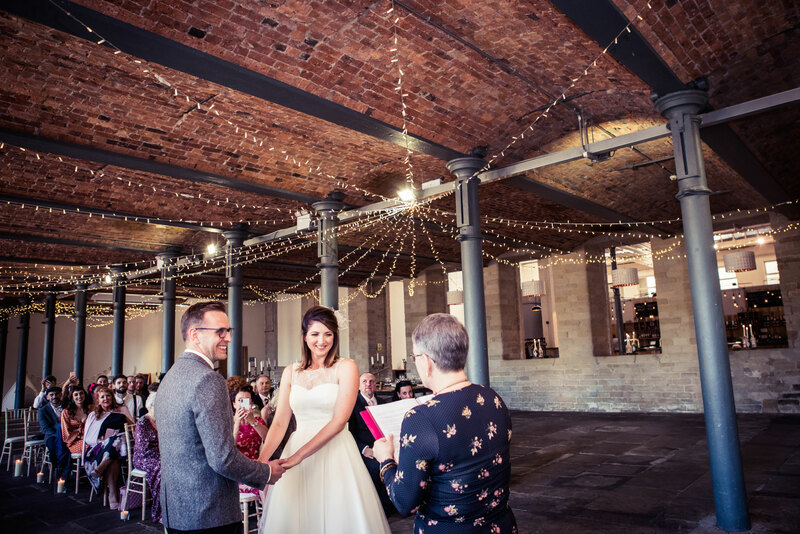 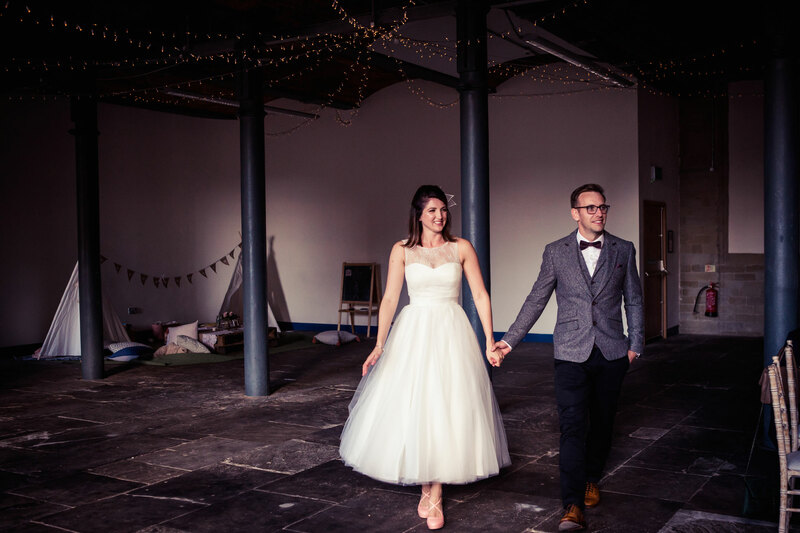 Rachel and Luke’s style just suited this venue down to the ground! 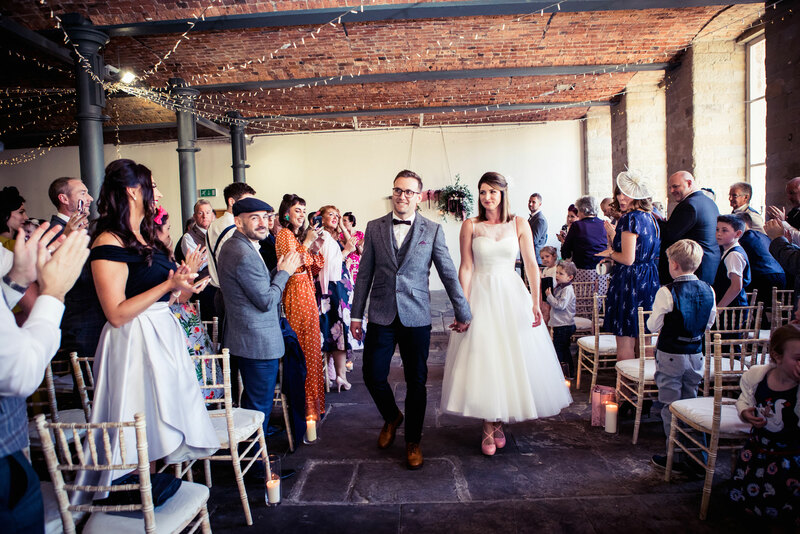 All the guests had a little nod to the vintage style too with fab hairstyles, dresses and suits which was a treat to see. 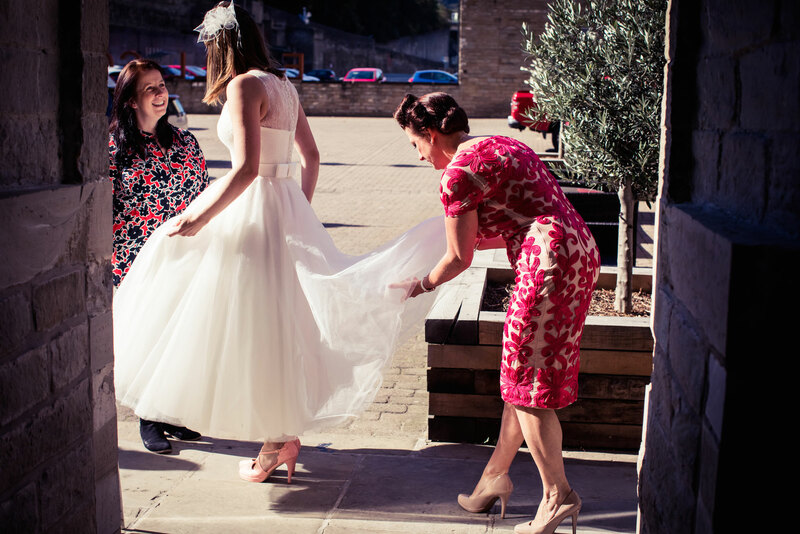 Rachel didn’t carry a bouquet but she didn’t need to because her dress took centre stage and I just loved capturing her joy of wearing it! 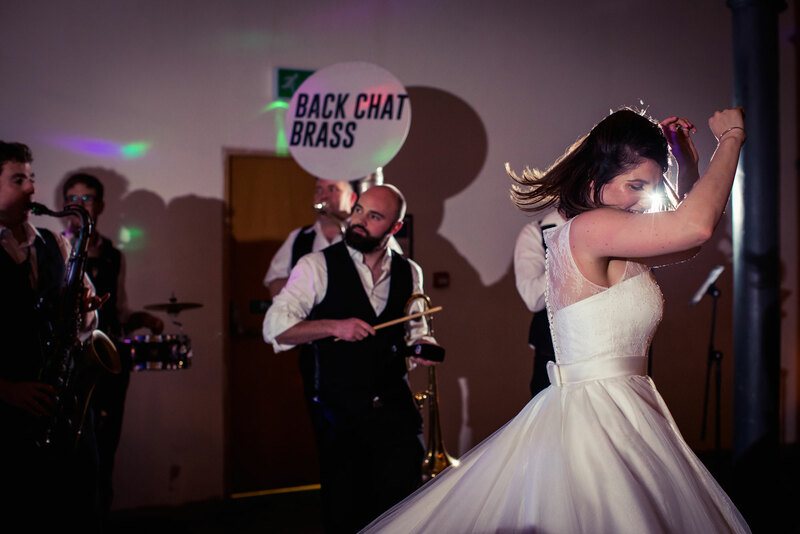 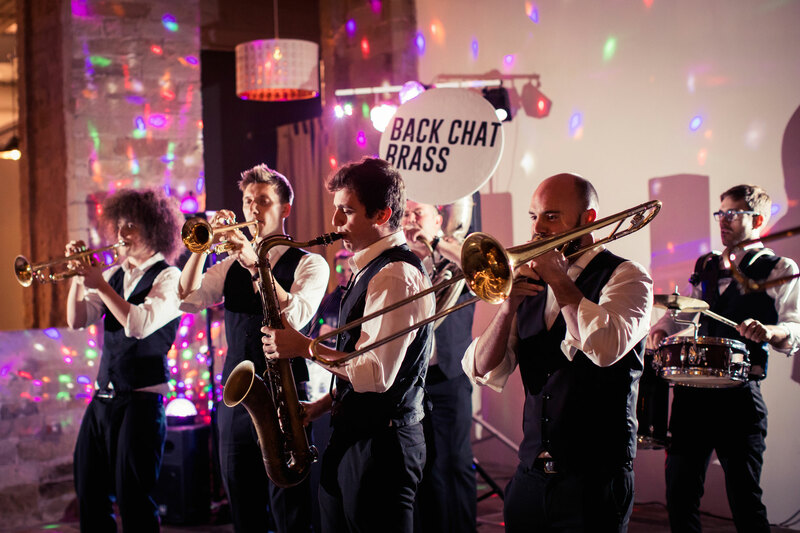 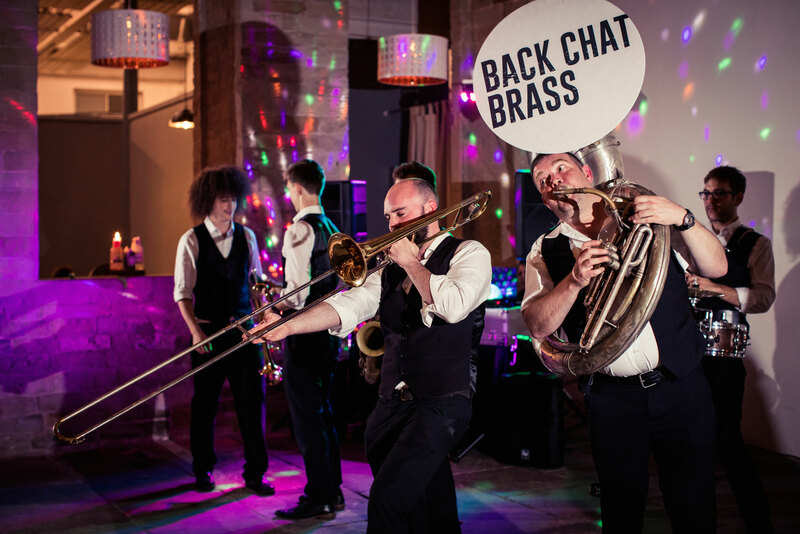 Enter Back Chat Brass for the evening party and this Yorkshire wedding photographer was a very happy photographer indeed! 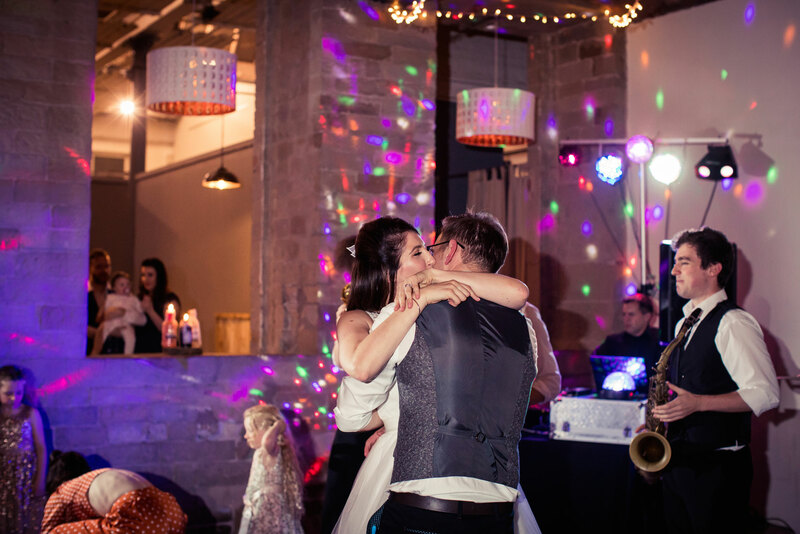 Lots of dance floor action to be captured and it was a perfect end to this relaxed, unique and fun-filled wedding day at The Arches in Halifax. 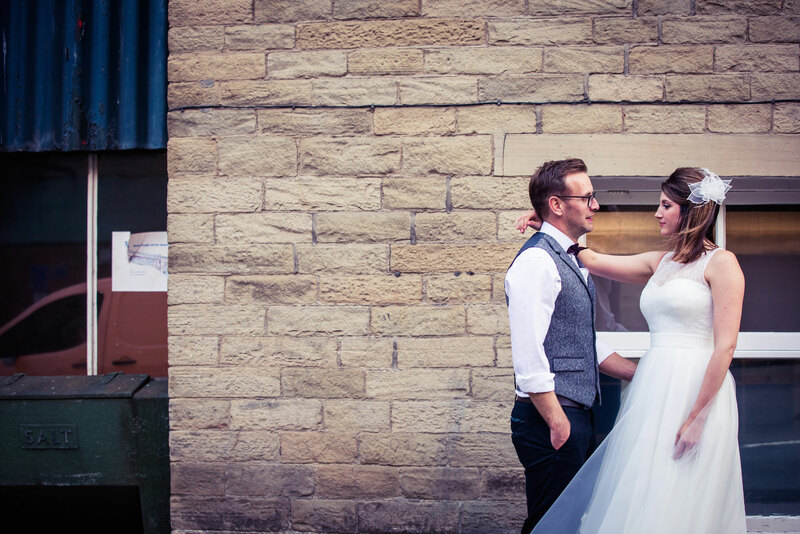 Here are just a few kind words that Rachel and Luke sent me on receiving their photographs….. 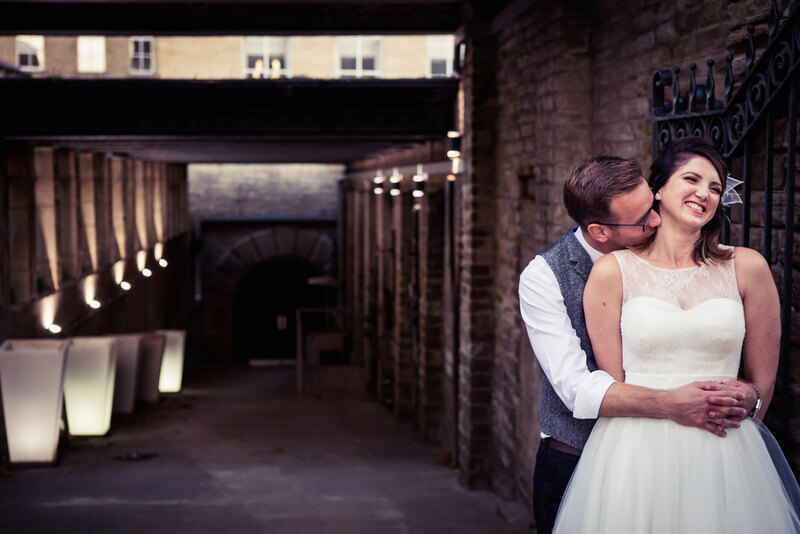 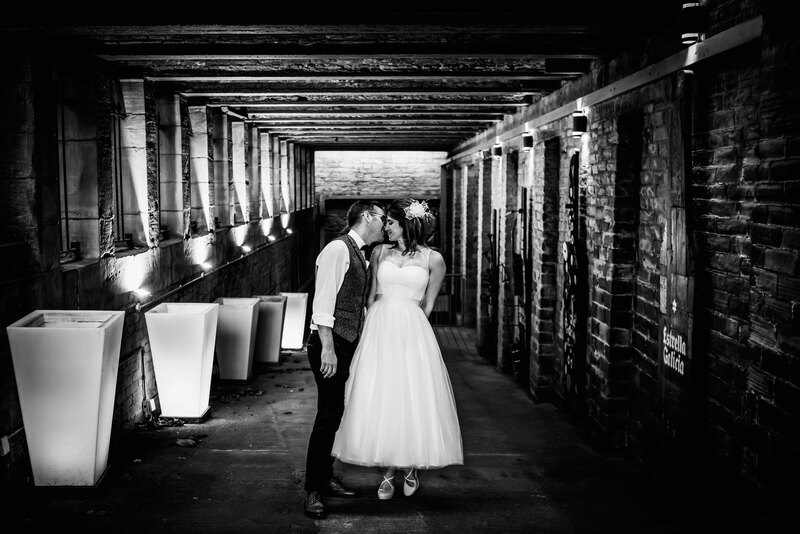 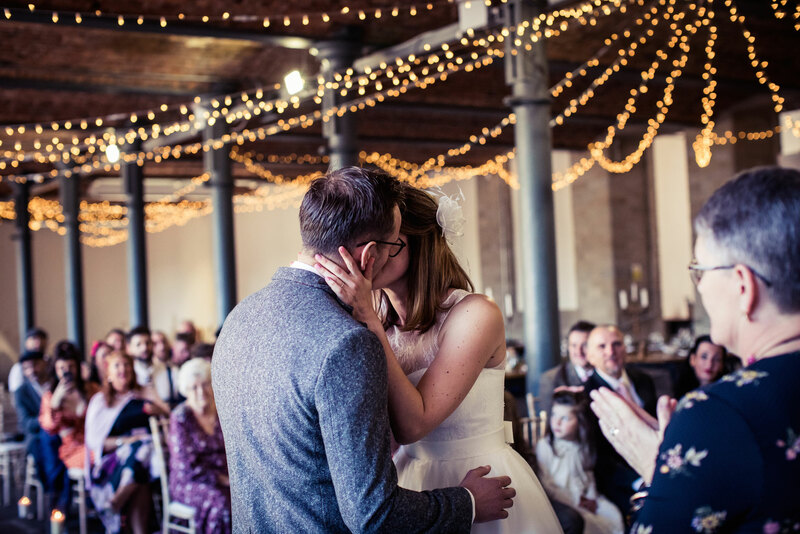 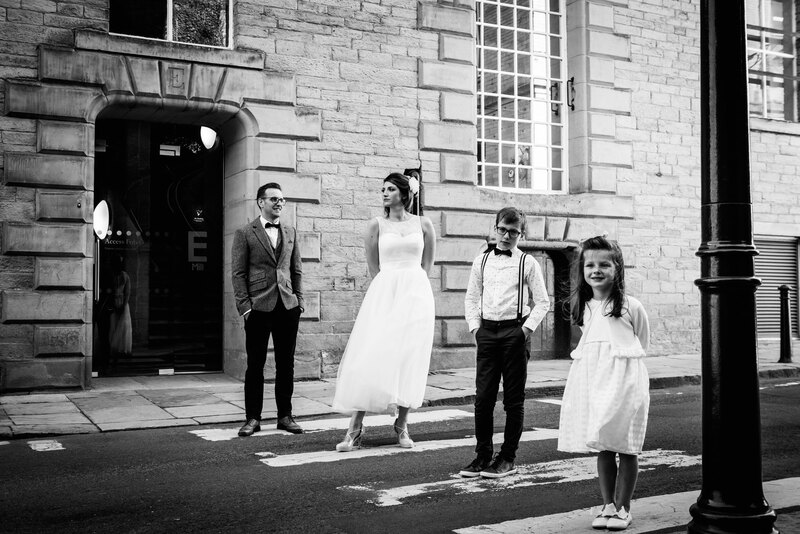 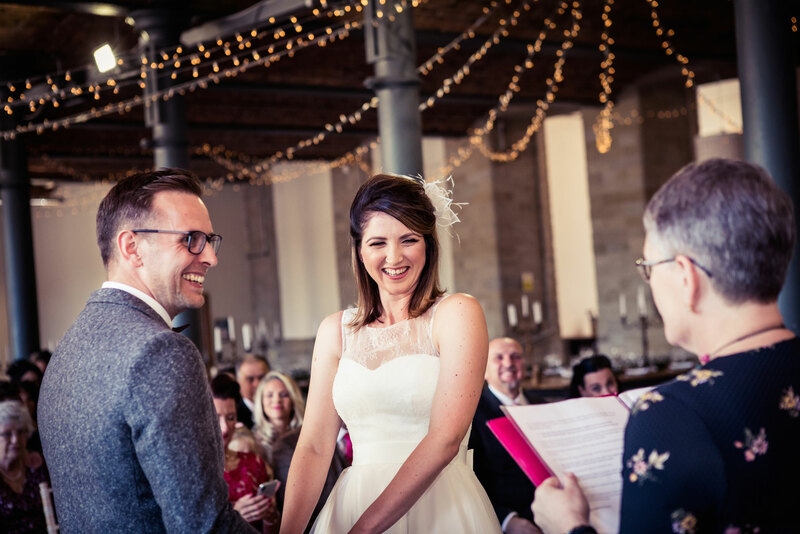 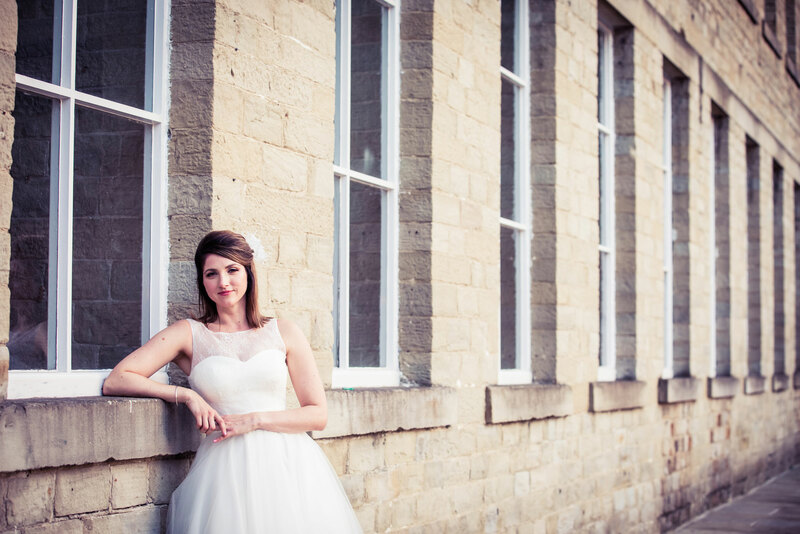 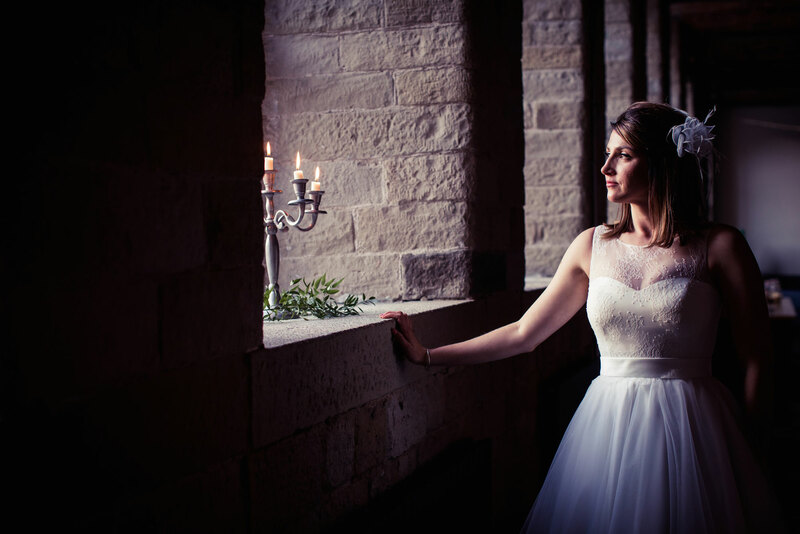 If you’re looking for a wedding photographer in Halifax and would like to chat to me about your wedding at The Arches, I would love to hear from you.